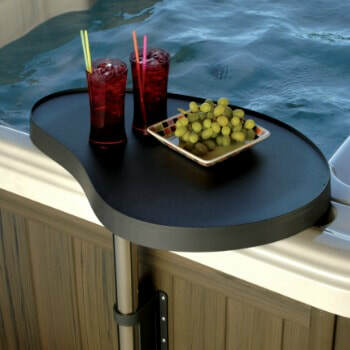 ​Spa Caddy | Hot Tub Caddy | Hot Tub Table | Hot Tub Side Table is adjustable and durable. This hot tub shelf is a safe, convenient place to set beverages, cell phones and etc! The Spa Caddy is a perfect addition to any hot tub. Now all of those things — from drinks and food to magazines and more — can be placed within easy reach. This hot tub caddy is great gift for any spa owner!